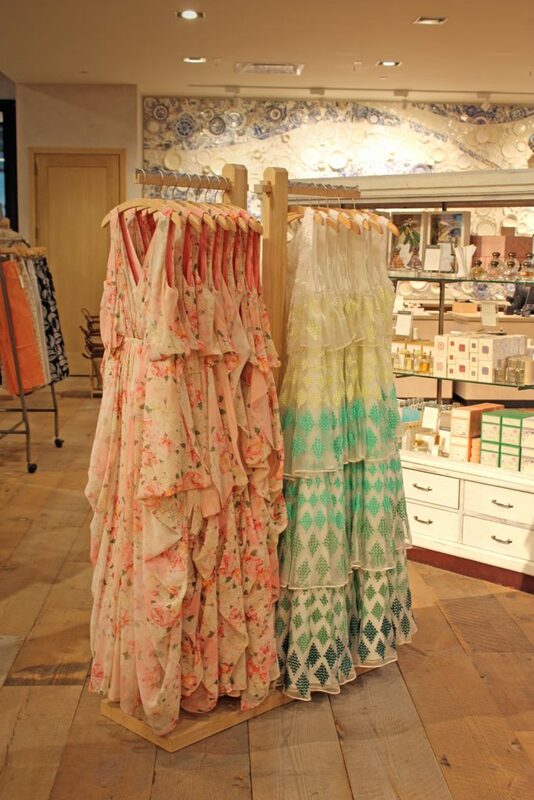 Welcome to the Portland Anthropologie Department Store. 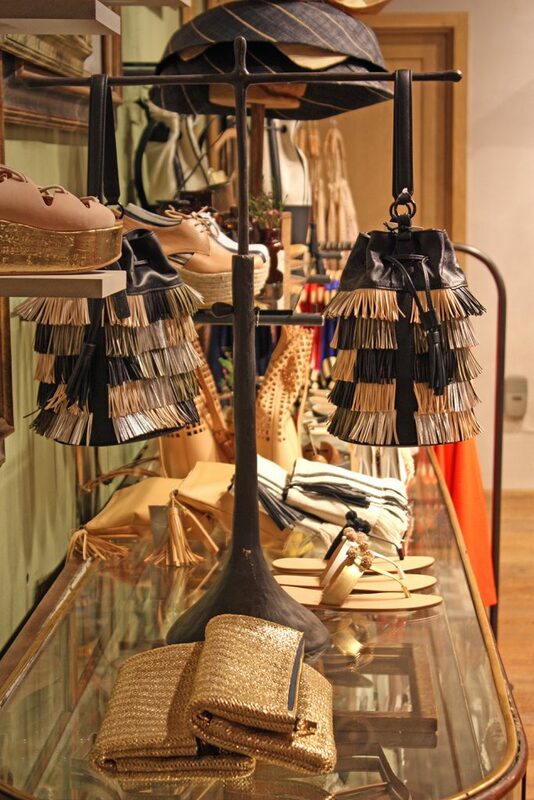 This is what you see when you walk in the door — surrounded by Anthro! Some people travel for concerts. Other people travel for well-being retreats. Still others might travel to see a site, a mecca that holds personal meaning for them. 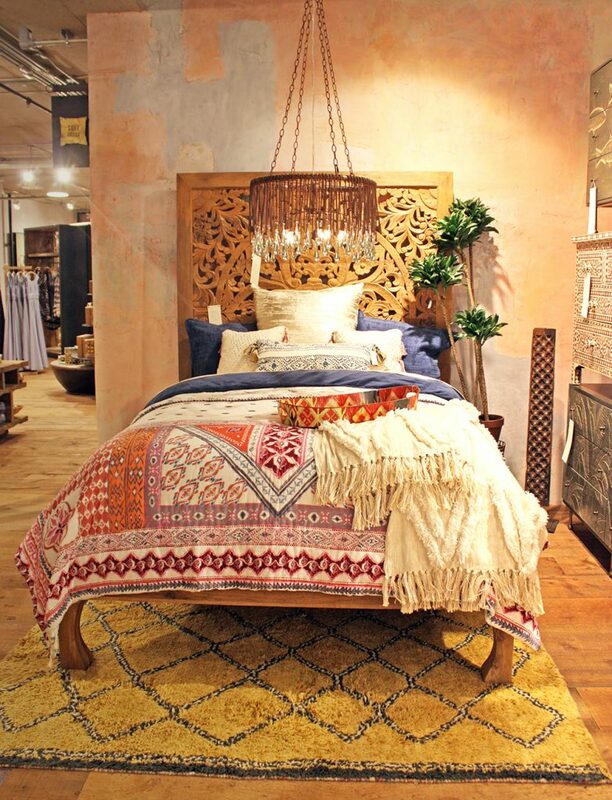 In the sartorial world among Anthropologie lovers, what could be more fun than a trip to the biggest Anthro store there is, filled with plentiful delights and staff trained beyond compare? 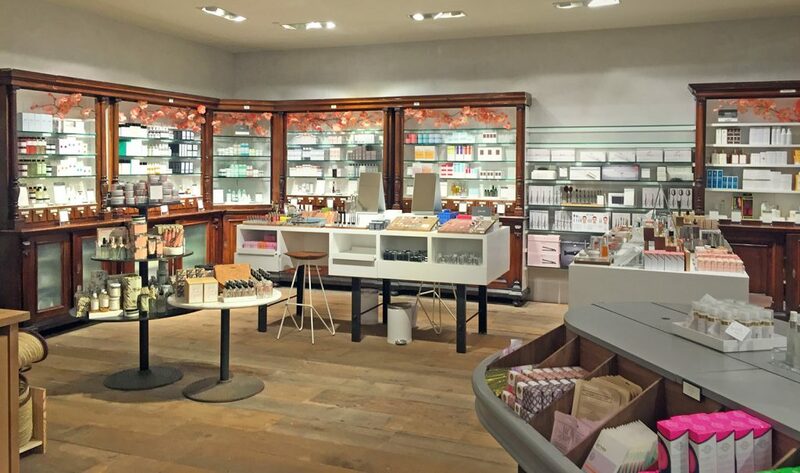 That was my thought process in deciding to take the cross-country flight from NYC to Portland to see Anthropologie’s first department store concept for myself. 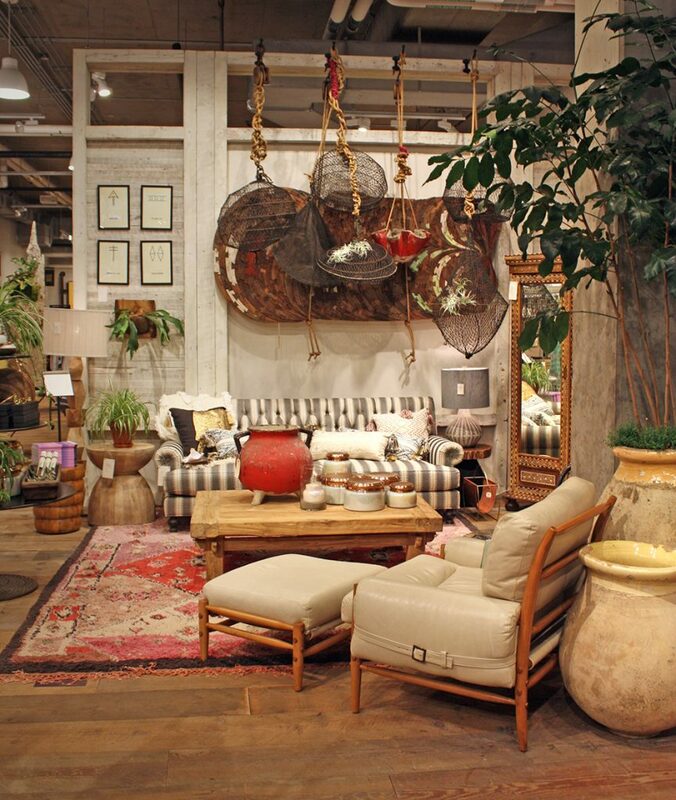 Yes, in NYC we are blessed with multiple Anthropologie stores, including the nearly 10,000 square ft Rockefeller Center flagship. But there is something undeniably special about this Portland store from the joyful touches in visual design that abound around the store to the unique items by local artists or collaborations with well-known brands to the sheer amount of products to see, this store is certainly shopping-vacation worthy. Add to all of this the beautiful city setting of Portland, with its yummy eats, great public transit downtown, seriously fun shopping of both local stores and national chains, and the option of driving to scenic waterfalls, glorious coast, incredible mountains or serene nature within an hour or two and this Anthropologie store has tons of good things going for it as soon as you walk in the door. Just inside the door, all this and more. On my visit I met with store manager Mackenzie who shared that most customers go straight for the clothing before wandering around to see what other delights await. With that in mind, the ground floor welcomes you with a trend section — pieces selected by the staff here as well as the home office that cater to our of-the-moment whims. During my visit I noticed breezy skirts and maxi dresses, lightweight tops and cute cropped pants. 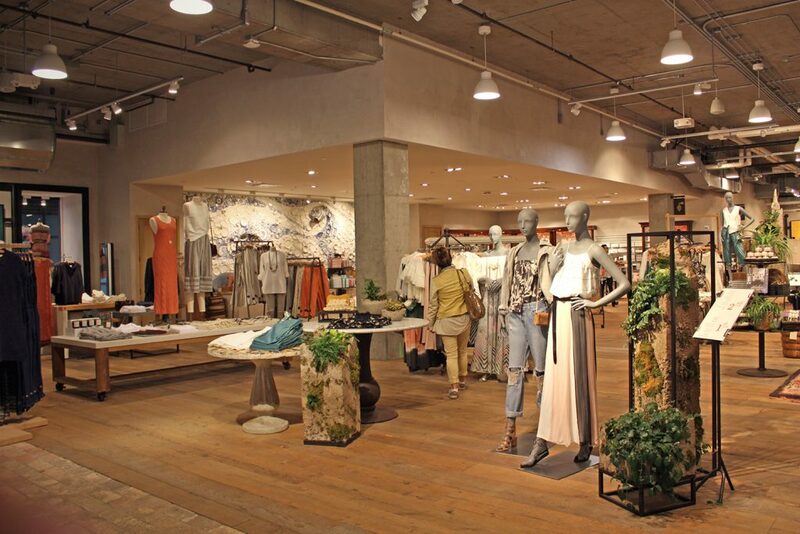 Among the mix are both well-known Anthropologie brands as well as local designers that are exclusive to this store, something we will see ever more as Anthro works to draw our feet back across the threshold of stores. …and even more clothes to shop after that! This Portland Anthropologie has 18,000 square feet of goodness to walk, spread among two floors and divided into some sections. Upstairs for instance there is a dedicated lounge section that felt very at home in Portland’s casual chic styling, a spacious airy room just for intimates staffed by specialists who can measure you and recommend the proper undergarment for any outfit and a huge, glorious, incomporable shoes and accessories room that alone makes the trip worth it! way too big for a regular photo! The fitting rooms are large and bright, but thankfully not so bright that they’ll overheat you the way some of the NYC store fitting rooms tend to. On both of my visits to the store there was plenty of staff walking around and ready to help, and each room was also staffed. This is so critical, as nothing is worse than wanting to try on a pair of shoes and having to wait for a SA to stroll by your vicinity. You’ll find shoe specialists, intimates specialists, multiple personal stylists, home design specialists and beauty specialists, but even if those particular staffers are not around or unavailable, one wonderful thing Anthropologie did was spend about two weeks pre-opening training the staff up on the various products. So while a SA still might not know the online name of that yellow HD in Paris dress I love so much (see it on me here), he or she will absolutely be able to talk intelligently about the items they have in stock across multiple departments. Every SA I spoke with was able to answer my questions about which items were currently most popular, spoke honestly about the items not working very well for customers, and could point me in the right direction when I asked where something was. 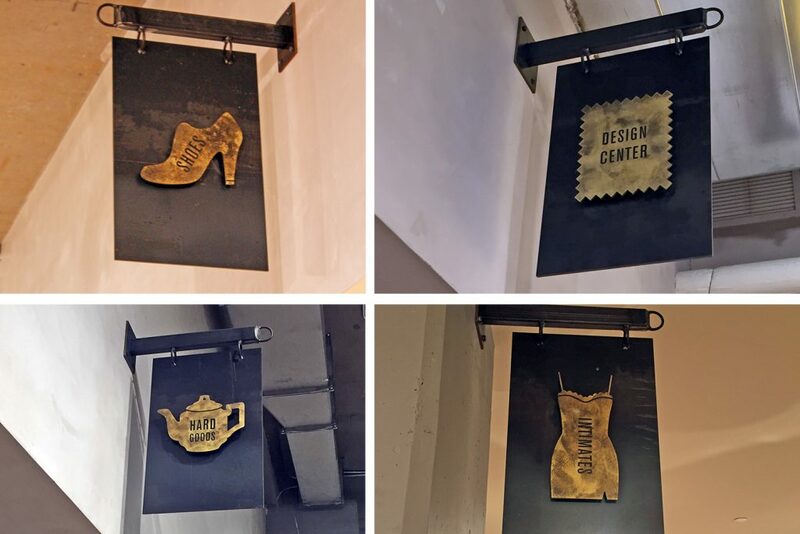 Signs for the different specialty rooms around the store. The gigantic beauty bar, staffed by specialists. Two words: shoe room. This table was like a rotating prize wheel! Sunglasses in front of me, hats behind me. I’ll be talking about the personal shopping and styling experience for the Portland Anthropologie in a separate post, but I did want to mention here that the store has multiple personal shoppers who are happy to set up an appointment with you before your visit and pull items that you request, as well as other items in and out of your comfort zone. I worked with Eulalie, who had a rack full of clothing waiting for me when I arrived! We worked together before my arrival to pull some items I was interested in trying on, as well as talking about the kind of shapes, silhouettes and colors I like to wear. Since personal stylists do not work on commission here, there is zero pressure to buy. 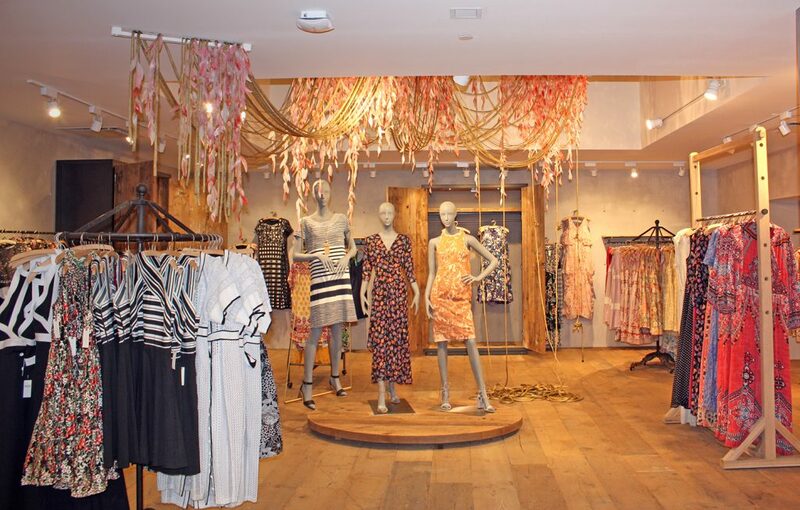 You can set up a personal shopping appointment via Anthropologie’s website here, or by calling this store or your local store directly. 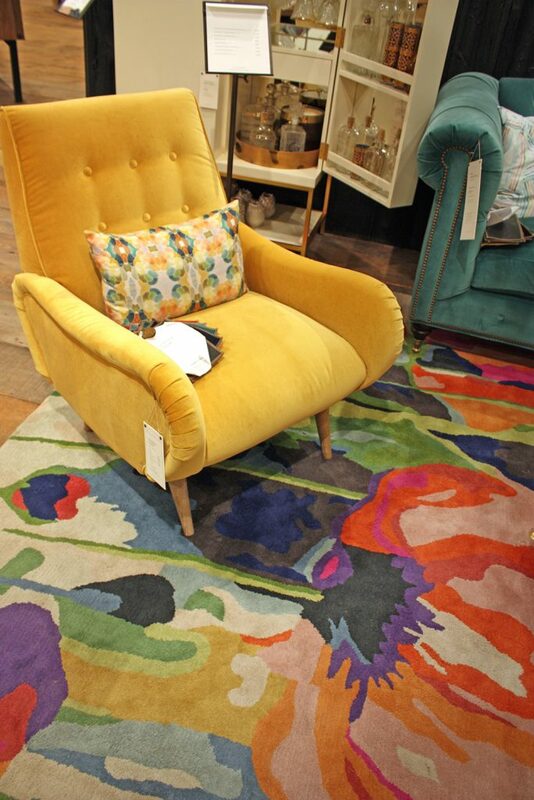 The Portland Anthropologie can be reached at (503) 274-0293. In fact, there are specialists you can reach out to working all over the store. In the home designer center a specialist can pull wallpaper samples for you, go thorough sample knobs, pulls or materials for furniture or rugs, and help you pull a room together. The aforementioned intimates specialists can make sure you look and feel just as good under your outfit as you do for the public view. The beauty section staff brilliantly suggested items to go with my skin tone and color preferences, and can do the same for you. Any of these specialists are available by calling the store directly, (503) 274-0293. You don’t need to live in or around Portland to take advantage of these specialists either. They’re happy to work with you via email no matter where you live. That’s pretty sweet! A beauty specialist talks hair makeup with me. She loves this wave spray — and I did too! In talking with the staff, one of the fantastic things about this store is that you can come in, pick out an outfit for work, a date, an event, or just for fun, and then also purchase the underpinnings, shoes, accessories, and makeup concept all in one pop. That is of course exactly what Anthropologie is hoping you’ll do and I not only experienced this myself during this visit but also saw it happen with two customers while I was there. 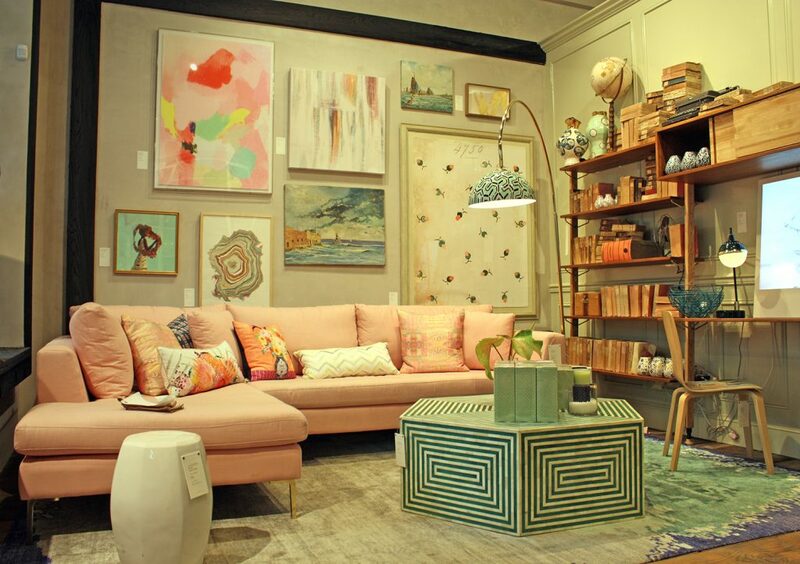 What makes the Portland Anthropologie special? 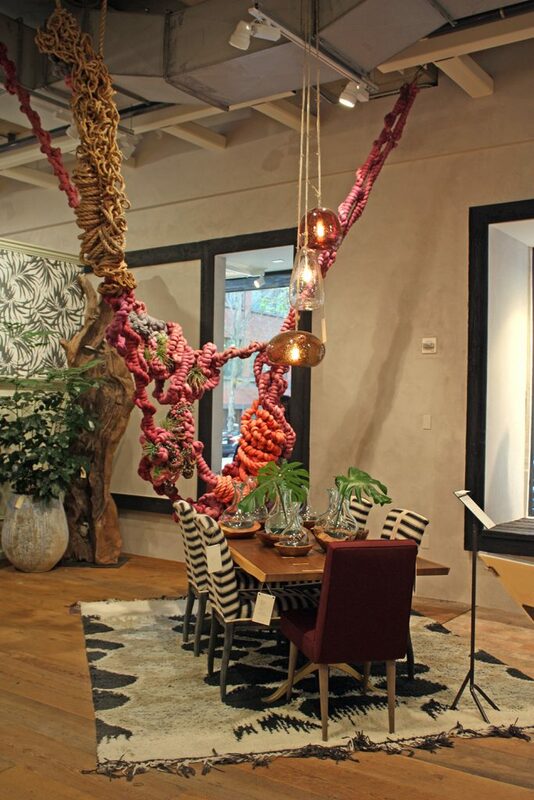 Technically, you could do this at almost any Anthropologie store these days. So what makes the Portland store so special? Quite a few things really. While walking around and then while chatting with my guy afterwards, we came up with 10 reasons why this store is worth a shopping vacation. 1 – The sheer amount of products to choose from. 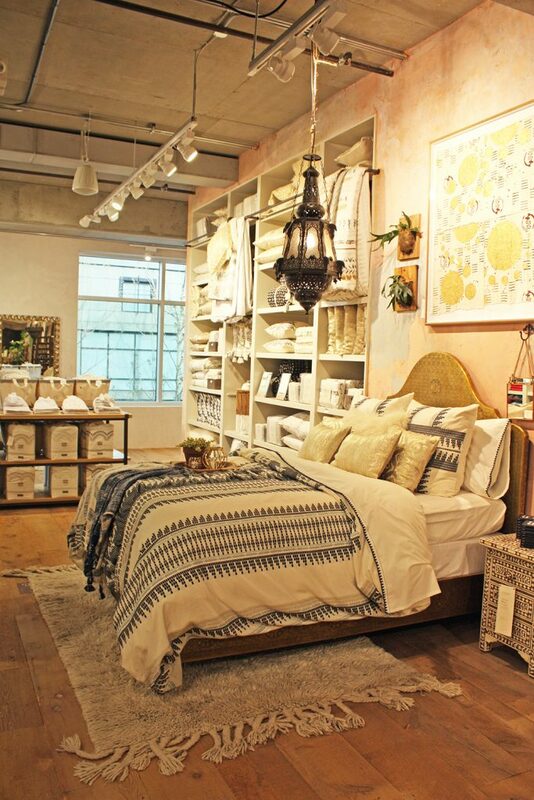 It’s as close to shopping the complete Anthropologie website as you’ll come in any Anthropologie store. Plus, there are lots of one-of-a-kind items, special collaborations or local artisan pieces that you literally can’t find at any other Anthropologie, or online, or perhaps any other store period. Did I mention that enormous shoe room yet??!? The intimates room is particularly stunning. 2 – The complete home rooms on display. Home design details from around the store. I love the complete room showcases! 3 – The store staff expertise and specialists, and how friendly they are. I can’t say enough how great it was to be able to talk with SAs and specialists who clearly knew what they were talking about at a deep level. Which items are running two sizes too big (or two sizes too small — AHEM, Moulinette Soeurs I’m looking at your skirts with serious side-eye)? Which items are customers snapping up? Which items are probably going to make it to sale? What items around the store will go with this one item you really like? What makeup brush is the softest? (These ones, purrrr.) The team here can answer all those questions and so many more. In general, people in Portland are very friendly — especially compared to New Yorkers like me — so it’s no wonder that this friendliness extends to the store staff. 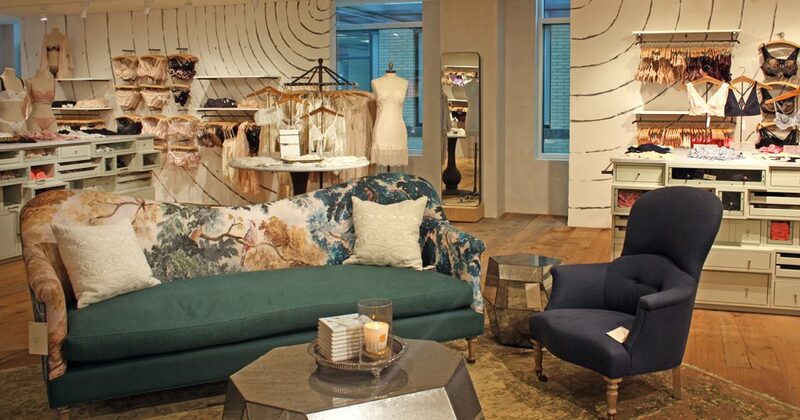 In fact, Durham’s Anthropologie might have a new rival for friendliest staff there is! 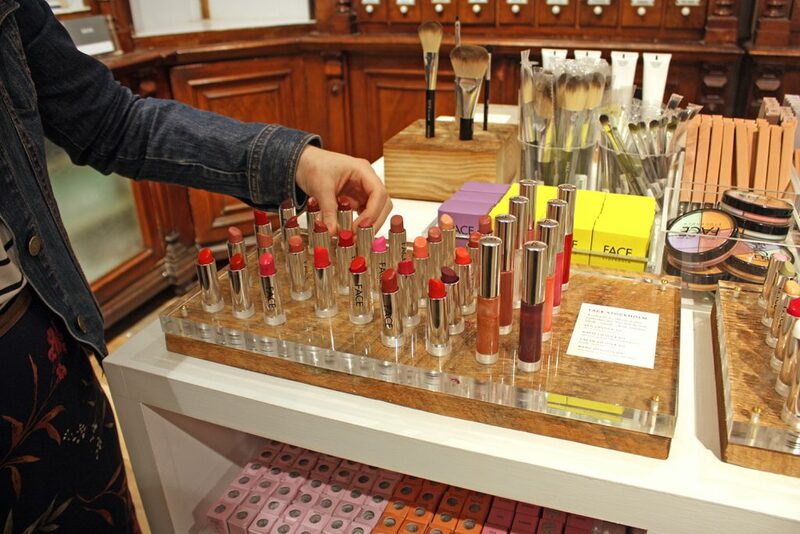 4 – That you can buy a complete outfit here, and get the makeup concept to match. You can walk in tired and grumpy from work and walk out dressed to the nines for your evening plans. This is golden! 5 – The enormous home design center and home design specialist. 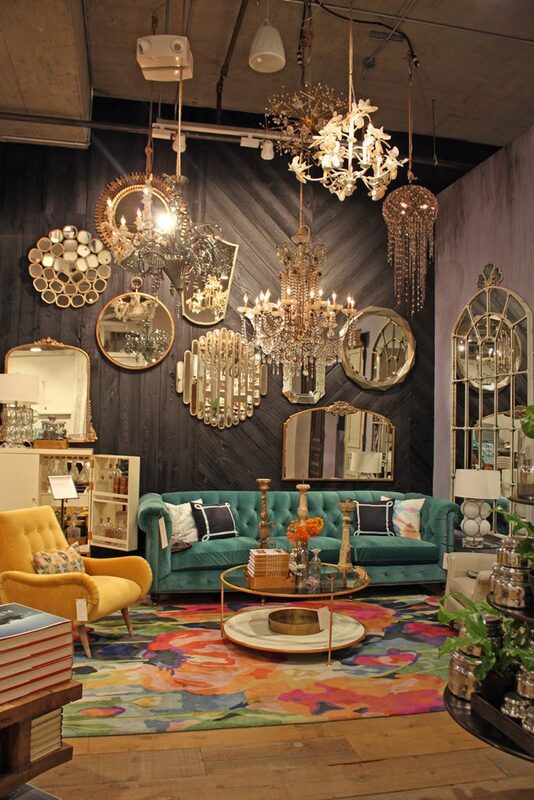 There are multiple complete room setups around the store — when I visited this included multiple living room setups, a dining room or two, several bedrooms on display and lots and lots of home decor pieces around the store. They rekindled my spirit of discovery as I walked around, looking for little nooks and side-placed rooms that held tons of home treasures! Downstairs towards the back of the store you’ll find the home design center where all the samples are kept, while right up front is a huge array of home, kitchen and decor goods. It was so much fun poring over everything! And their home design specialist is amazing, too. More home setups from around the store. Which bed is your favorite? My boyfriend and I liked the third one down the best. 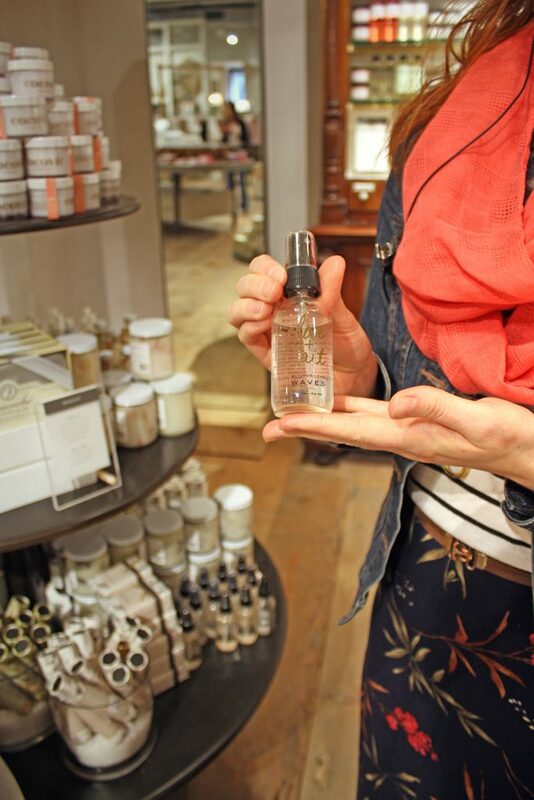 6 – The exclusive products found ONLY in the Portland Anthropologie. 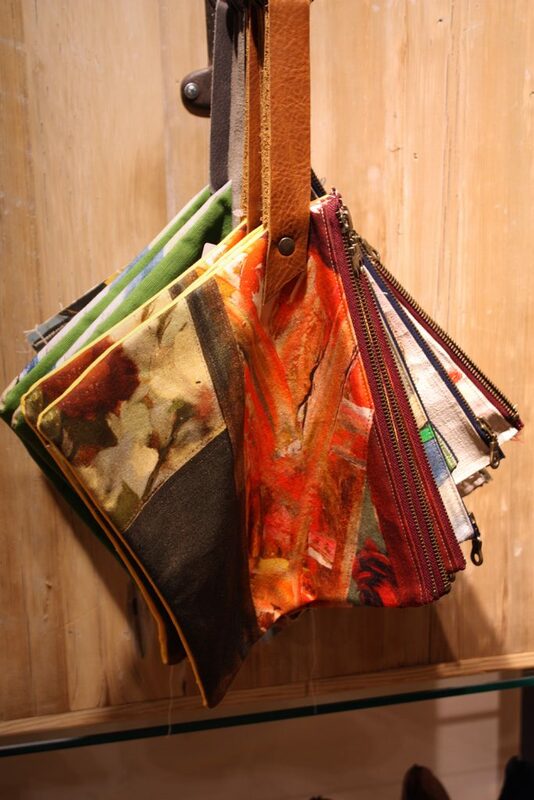 Portland is chock full of talented clothing, jewelry and home designers, as well as a hip artist community. It feels organic and needed to see items by these artisans in this huge Anthropologie, and they are items that fit well within the Anthro aesthetic. You won’t walk around wondering how this or that got there — you’ll be taken by how natural it all feels. I was particularly impressed by the local jewelry designers. 7 – The constantly updating products. The Portland store receives new items every three days, pretty much guaranteeing that no two visits to the store will be exactly the same. In the time while I was in town the beauty section got tons of new items, a huge dress delivery came in and the upstairs stock rotated. I found new items on my second trip that I’d missed the first time around! 8 – The in-store events. If you’re local to Portland be sure to stop in and sign up for the store’s calendar of events emails. If you’re planning a visit, call the store at (503) 274-0293 to hear about the events happening while you’re in town. 9 – The intimates section. I was delighted to see so many intimates stocked in-store! 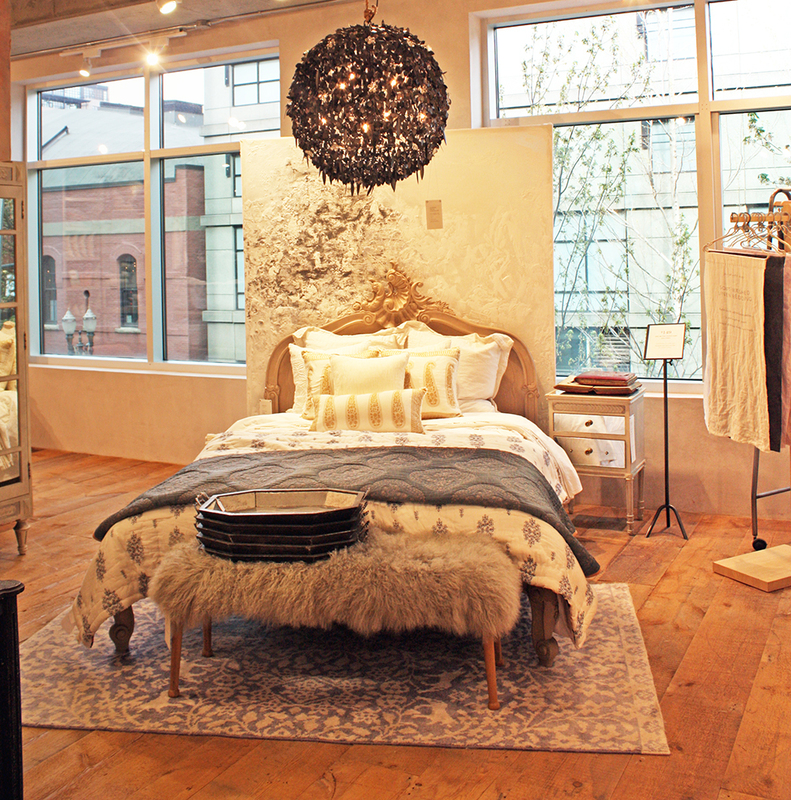 Anthropologie recently launched its own intimates line, which is fully stocked at Portland. As of now only limited sizes are available but the line will be expanding to more band and cup sizes. And I know I sound like a broken record, but stock more sizes of the national brands Anthro. More DD cups and beyond, s’il vous plait. 10 – Plentiful places for your partner to sit. This can not be underrated. Benches, chairs, comfy couches, oversized ottomans, and general commiserating areas for your non-Anthro loving partner. My boyfriend was sad there was no whiskey bar though. Get on that, Anthro! Everywhere you look, there’s plenty to investigate. 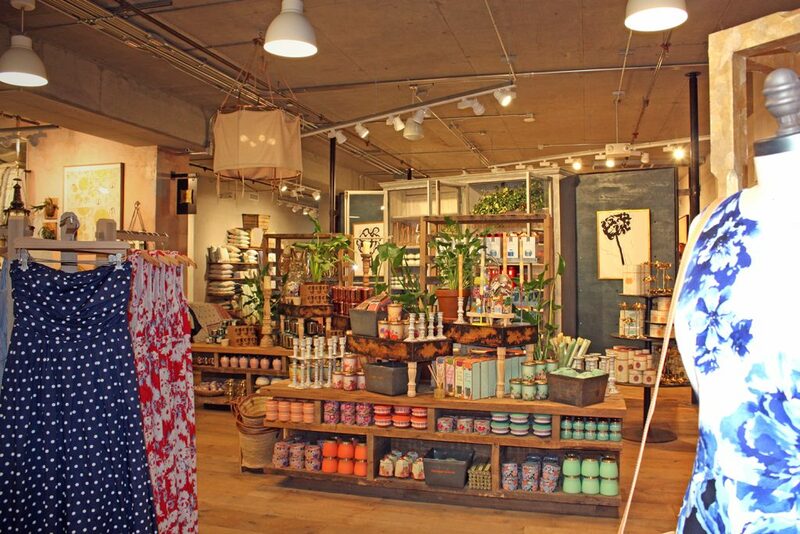 What’s missing from the Portland Anthropologie? Although this huge Anthropologie has nearly everything you could ever want, there are some things missing from the store. 3 – There are very few ‘online exclusives’ stocked here. This store could easily be re-arranged to include these things in the future. Wandering around the store (and I did a lot of wandering, just like the old days!!) a few ideas popped into my mind. The team has done an amazing job setting this store up for maximum enjoyment…and I think a few things could make it even better. Firstly, I’d love to see Anthropologie follow in the footsteps of select upscale European retailers, and offer every item they carry to try on, and then drop-ship your purchases. When I go to select Euro stores, they carry one of each size of all of their items for customers to try on. This way you can determine the correct size you need in each item. And then rather than sell you a shop-worn, stranger-touched item, the store instead places an order (with free shipping naturally) and drop-ships you all the items you’ve purchased. You get clean, new, from-the-warehouse items! Of course I realize that sometimes we go to the store and want to wear an item right away, or perhaps that evening. 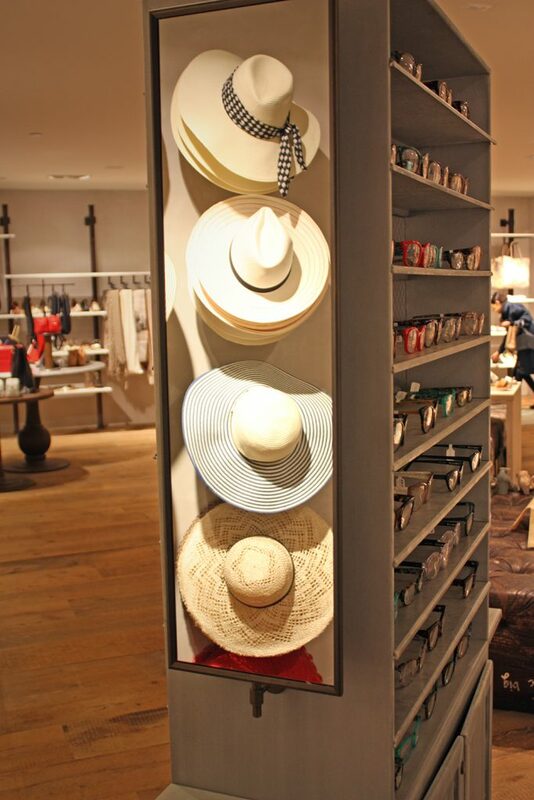 So I am not suggesting that Anthropologie should do this with every item in the Portland department store. But I do think that for special small-inventory runs, and especially online-only items, this would be a huge perk if the Portland store carried one of each size of these items. In fact, that might be enough to get me to move to Portland, which my guy would like very much! Something to seriously consider, Anthro. One other thing that would be lovely is to see more bunches of dressforms, let’s say groups of three, around the store showing different ways to style one item. During my personal shopping appointment Eulalie and I addressed this with several items. It would be so nice to see something similar around the store, especially with the more complex pieces that perhaps interest me but stump me when it comes to styling. 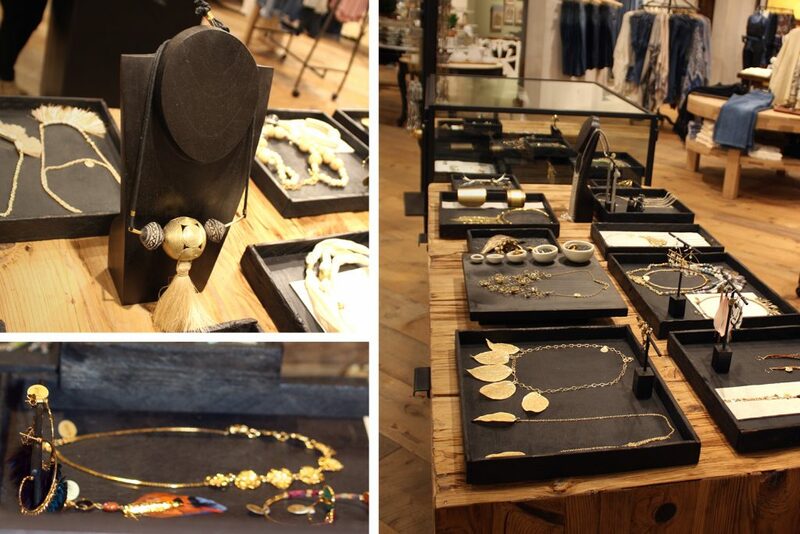 Downstairs you’ll find tons of jewelry, in cases and out, to complete your outfit. Many local Portland jewelry designers are featured. A mannequin in the trend shop downstairs. Love the look, but the mannequin is kinda scary! Maxi dresses in the trend shop. Is it worth the trip? Of course it is. I live in NYC, where I have multiple Anthropologies to choose from on a daily basis. And yet something about this Portland store inspired me and made me excited about wandering around Anthropologie stores again. While the NYC shops have looked strangely barren, this store was perfectly stocked with just enough to keep me delighted. There is more than you could possibly ever discover in one visit, and in fact I needed to split my visit into two stops into the store because after several hours I needed a break to eat and sleep! 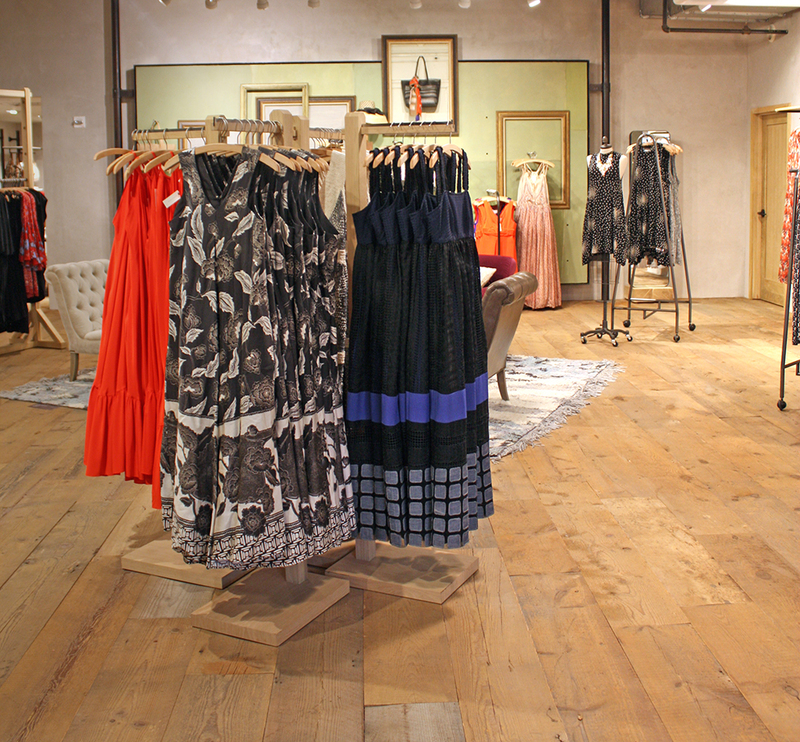 Oregon is beautiful, Portland is beautiful, and this Anthropologie is especially beautiful. I’m so glad for the opportunity to make the trip! I highly, highly recommend reaching out to the Portland Anthropologie before your arrival to schedule appointments with the store’s specialists. It’s so worth it and they are happy to do it, no VIP status required! Getting to Portland is easy; there is an airport about 20 minutes away from downtown with public transit available. We flew JetBlue from Terminal 5 at JFK, stayed in the Paramount Hotel downtown (about a 6 minute walk from Anthro or a 5-minute light rail ride) and rented a car from Enterprise. We also stayed at the historic Timberline Lodge, which was used for the exterior shots of “The Shining.” No ghosts were spotted on our stay but we did make some amazing s’mores! We hiked, we saw waterfalls, we had an absolutely brilliant stay in and around Portland. My suitcase just happened to be much more full of Anthropologie on the way home. COMING UP NEXT: Personal styling, maximized! 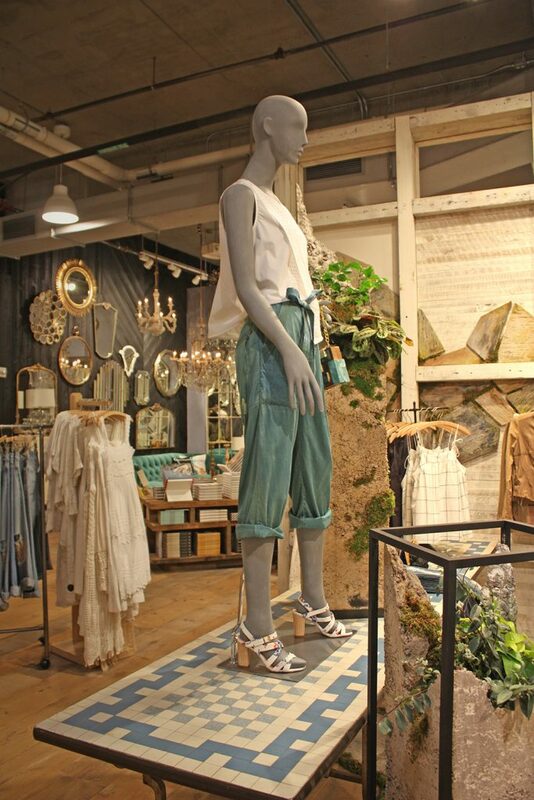 There’s also: Eye Candy from the Portland store featuring outfits aplenty.